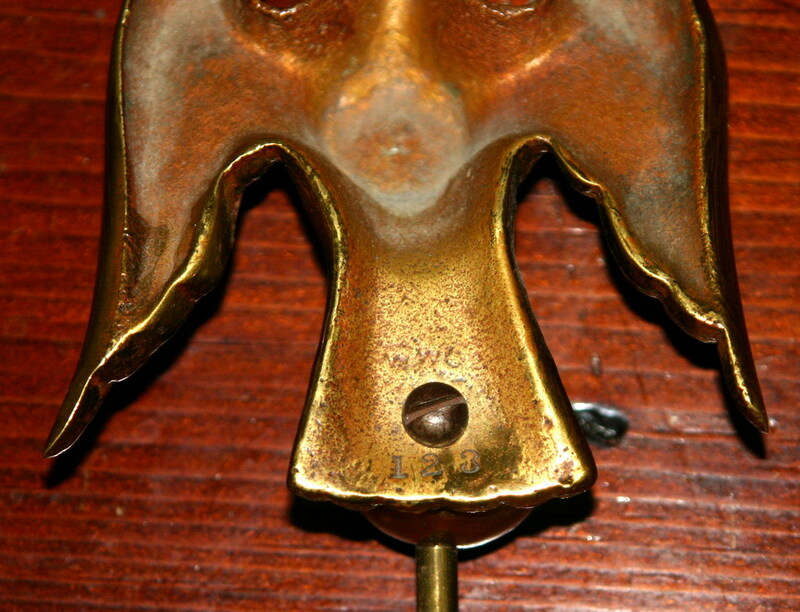 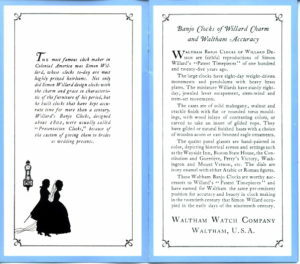 Waltham Banjo Clocks of Willard Design are faithful reproductions of Simon Willard’s “Patent Timepieces” of one hundred and twenty-five years ago……….. The large clocks have eight-day weight-driven movements and pendulums with heavy brass plates. These Waltham Banjo clocks are worthy successors to Willard’s “Patent Timepieces” and have earned for Waltham the same pre-eminent position for accuracy and beauty in clock making in the twentieth century that Simon Willard occupied in the early days of the nineteenth century. 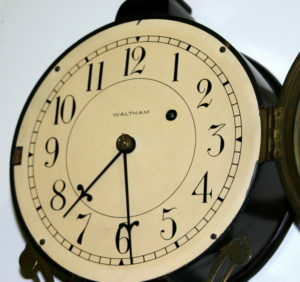 We are pleased to offer this wonderful example of the Waltham “Willard” weight driven banjo clock. This model is one of the finest banjo clocks that Waltham made, and certainly one of the hardest one’s for a collector to acquire since so very few were made with the Historic “Independence Hall Philadelphia” glasses. 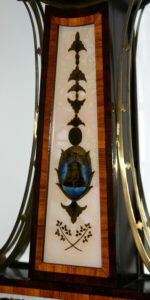 It’s not hard to understand the scarcity of this model, since banjo clocks with these special reverse painted glasses were only made for only a short period of time, it was very expensive to own (price of $75 during the 1920’s) and the economic climate of the country was extremely unstable during this period of time. 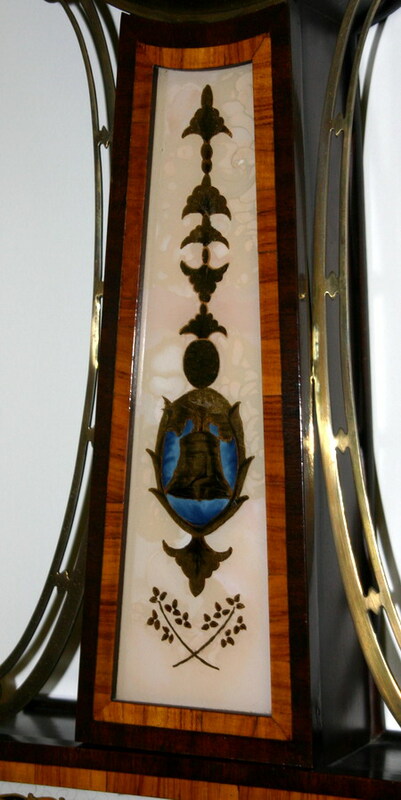 The presentation mahogany timepiece with high style cross banded mahogany frames, cast brass bezel, presentation bracket, cast brass side arms, and fire gilt eagle finial measures 41 1/2 X 10 1/2 X 4 inches overall. 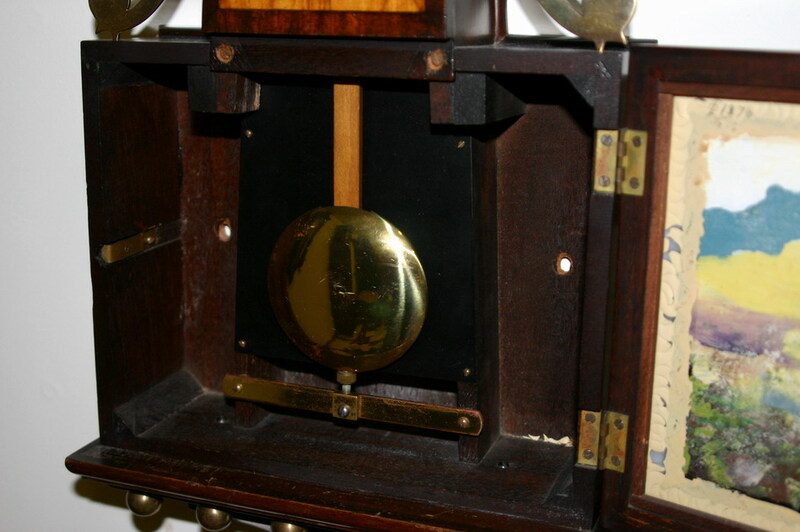 The eight day weight driven brass timepiece with maintaining power, keeps perfect time. 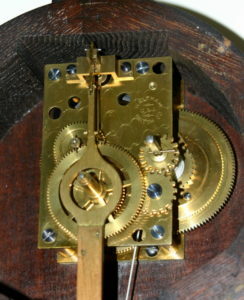 The clock is completely original, including the winding crank. 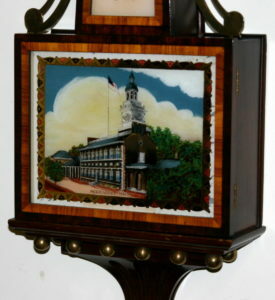 The glasses are original with some minor lifting/loss, in-painting, and the case has never been refinished. 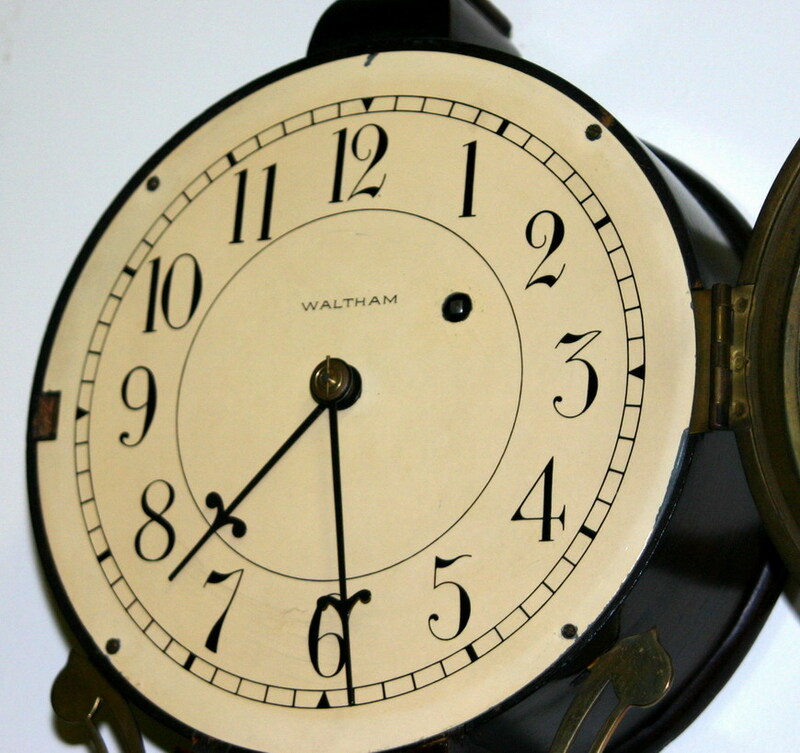 There are no extra holes behind either the dial or the works.